ONE LEVEL-END UNIT TOWNHOME/VILLA-Welcome to Luxury-GATED-Living at an affordable price! Low-maintenance lifestyle with community pool, tennis, basketball and tot-lot. 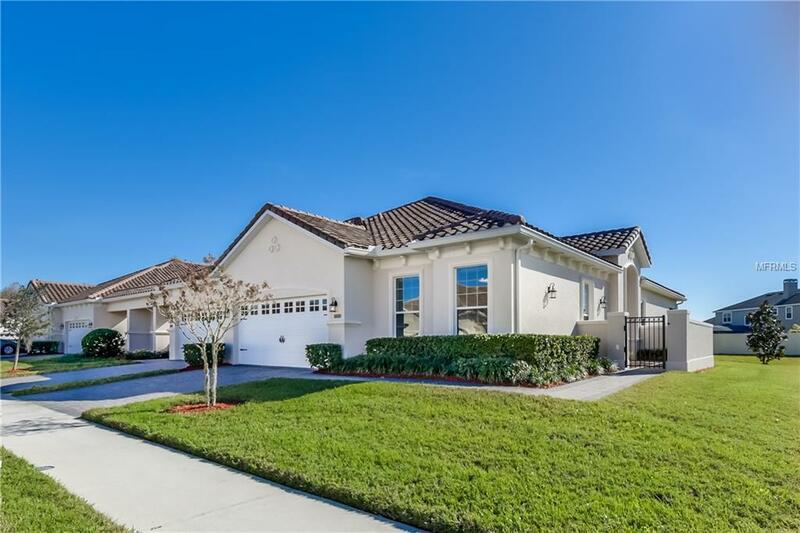 Located in the gated community of Cypress Reserve near "The Loop" in Kissimmee, Florida with restaurants, shops, and entertainment. Exterior and grounds maintenance is included with your HOA payment, so you can spend more time enjoying all that Orlando has to offer. Private Paved walkway with Courtyard entrance to this END UNIT 3 bed/2 bath home features an open-concept great room, with sliders to a covered and screened lanai with no rear neighbors for privacy. Spacious Master Bedroom suite with walk-in closet. Master Bathroom with private toilet closet, soaking tub and separate walk-in shower and dual vanity. Nicely appointed kitchen with stainless steel appliances, granite countertops with breakfast bar, 42" solid wood Maple cabinets with crown and a closet pantry. 2-car attached garage, laundry room, and 2 additional guest rooms and a full bath complete the split-bedroom floorplan. Attractive paved driveway and tile roof. This home has many custom touches found in luxury homes, four years young and is in impeccable condition!